To convert complicated sports data into a simple, visual format that is easy to read and adds real power to the analysis of a race or a match. Founder and developer Roger Hargrave worked for many years in the world of finance specializing in the development of reporting systems and new ways of presenting financial information. These skills combined with a passion for sports betting led to the development of new ways of presenting sports betting data. He is assisted by Robert (Customer Service) and Juan (Web design) plus several others. A big mention also goes to the members who with their advice and suggestions have helped take Visual Form Guides forward. 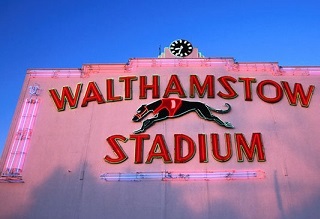 The idea of the Visual Form Guide initially started with Greyhound Racing after noticing (on many an evening spent at Romford or Walthamstow) that most people didn’t know where to start with a standard greyhound form guide with its times, adjustments and abbreviations. The first form Guides were developed and launched under the banner “Graphic Greyhounds” one Saturday night at Peterborough Stadium. 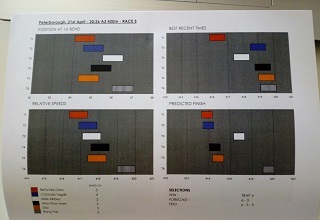 Amongst the feedback was a interest in seeing the Visual concept applied to Horse Racing. With plenty more factors to consider (weight, going, distance etc) it took the development of the “GRIDS” concept to crack the problem of displaying all this data visually. 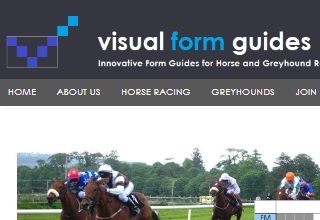 Once the Racing Form Guide was developed and the Greyhound Guide reworked visualformguides.com was launched in July 2012. Football form guides were added to the product range in 2018. The website was relaunched in 2018 but this process is ongoing. We want to add new tutorial videos for all of our sports to help users get the best from the form guides. We want to put in a members’ forum so users can interact, share tips, experiences and hopefully stories of big wins. These are certainly being considered for the future with Golf and Tennis most likely to next to be developed but we’re always open to other suggestions. The development process is also an interactive and relies on users’ ideas to make the guides the best we possibly can. TRY VISUAL FORM GUIDES FREE! Join us today for a free 14 day trial giving you full access to the members’ area and all horse racing, greyhound AND FOOTBALL form. give them a try and give us you comments and feedback. Simply click the link below, then enter your name and email address to start your free trial today.